GS Series Designer Casters are a popular addition to the range. 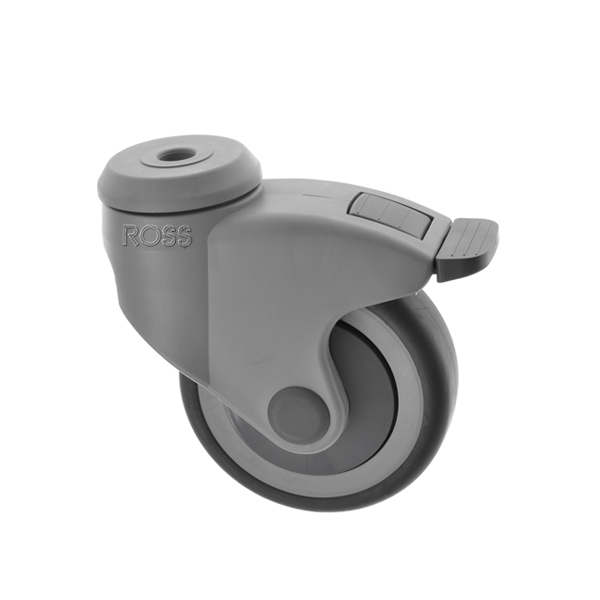 These non marking grey wheels in this synthetic grey housing makes these casters ideal for medical and institutional environments. With integral thread guards, preventing the build up of lint and dust these GS casters are popular with hospitals. With a three sizes to choose from, these medical casters are simple to attach with an M12 bolt. Medical casters are available with or without a footbrake.